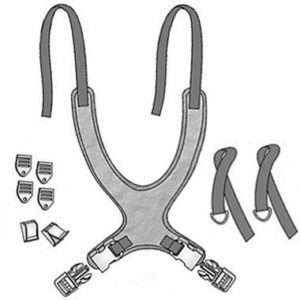 2-piece Velcro Chest Straps have a hook and loop center release and a webbing pull loop. Available in stretch or non-stretch material. Hardware to attach to wheelchair is included. Manufactured by Therafin. 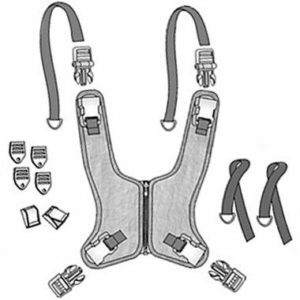 Chest Strap lengths shown here are taken from end to end, fully extended, without attaching hardware. The padded area dimensions are also shown. These simple slip-on sleeves keep Therafin’s Chest Strap with 2 Buckles clean. Soft stretchy fabric is waterproof and breathable, machine washable and dryer safe. 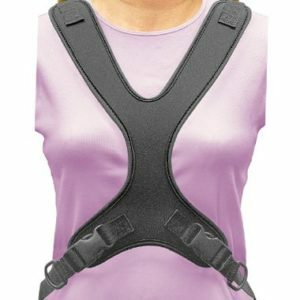 Only fits Therafin’s Chest Strap with 2 Buckles, it is not designed for Therafin’s chest straps with the hook and loop release in the center, or Therafin’s bariatric chest strap. Sold in pairs so you always have one to use while the other one is in the laundry. Choose from 3 different prints or black fabric. Manufactured by Therafin. 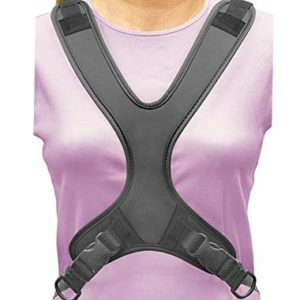 1-piece Stretch Chest Straps have a covered buckle, one adjustable strap and one sewn strap. Hardware to attach to wheelchair is included. Manufactured by Therafin. 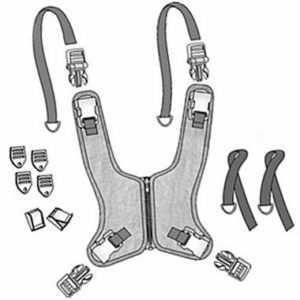 Chest Strap lengths shown are taken from end to end, fully extended, without attaching hardware. 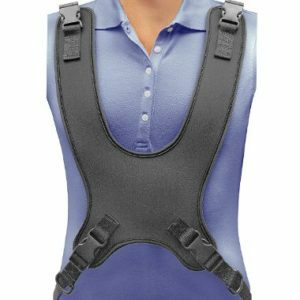 This Chest Strap has side release buckles on each side under the arms that are covered with a sleeve to protect from skin irritation. (Click on the picture above to enlarge) Both straps have a webbing pull loop for adjustment. Padded area is stretchy material. Hardware to attach to wheelchair is included. Manufactured by Therafin. Keep your chest strap clean with a washable Chest Strap Sleeve. 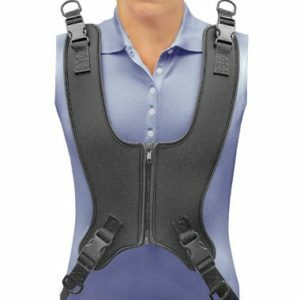 2-piece Chest Straps have a hook and loop center release, a webbing pull loop, and a webbing safety strap with buckle. Non-stretch material. Hardware to attach to wheelchair is included. Manufactured by Therafin. 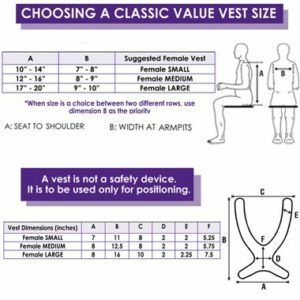 Classic Value Stretch Wheelchair Vest has Comfort Fit Straps, with Therafin’s hinged buckles that help shoulder straps stay secure at various angles. The flexible blended neoprene material can be hand washed and air dried. 8 sizes available. 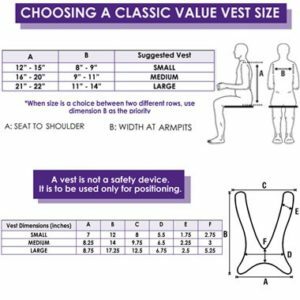 This Classic Value Stretch Wheelchair Vest has Fixed Upper Straps that go over the shoulder and attach to chair back with attaching clips. The flexible blended neoprene material can be hand washed and air dried. 8 sizes available. Stand behind user and adjust top straps at clips. Hardware to attach to wheelchair is included. Manufactured by Therafin. 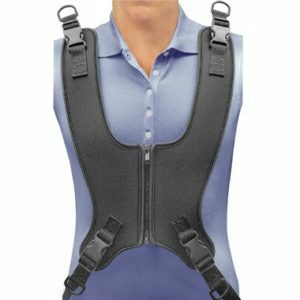 This Classic Value Stretch Zip-Down Zipper Wheelchair Vest has straps that go over the shoulder and hinged buckles that are located near the chair back. The flexible blended neoprene material can be hand washed and air dried. Available in 6 sizes. These simple slip-on sleeves keep Therafin’s Comfort Fit Strap Vests (Full Shape) clean. Soft stretchy fabric is waterproof and breathable, machine washable and dryer safe. Available to fit MEDIUM or LARGE Comfort Fit Strap Vests (Full Shape).